Ecuador has an estimated population of 16.86 million and is maintaining steady growth as it develops as a tourist and expat destination. In other words, the housing market in Ecuador is a good investment again, particularly in Cuenca. According to David Morrill, publisher and editor of CuencaHighLife.com, a local news website, “The market is coming out of a three- or four-year slump, there’s a new government with pro-investment ideas, the 2016 Correa capital gains tax has been repealed in the public referendum, and the number of building permits has doubled in 2018 over the same period in 2017.” Morrill thinks we won’t see the double-digit appreciation of 2008 to 2013, but we will see improving returns as the economy recovers. “I think the outlook in Cuenca is even better. The city is popular not just with foreigners but with Ecuadorians returning from overseas,” Morrill adds. 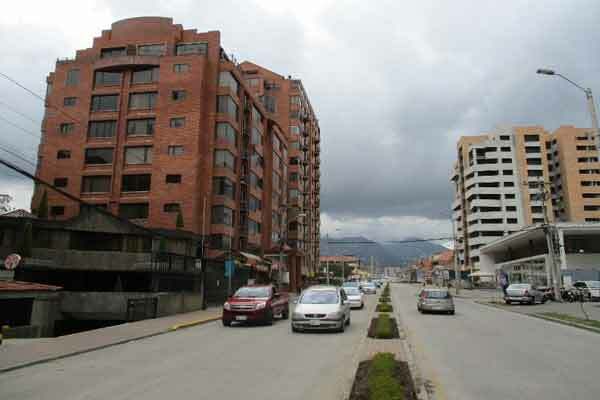 For $1,700 a month, you can easily enjoy living in the third-largest city in Ecuador. 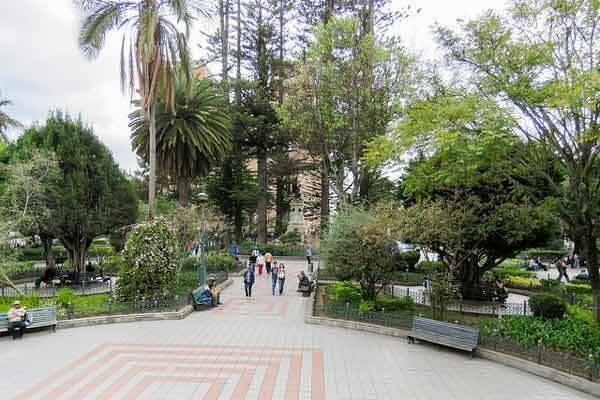 Cuenca is a haven for artists, musicians, and writers, making Cuenca the cultural capital of Ecuador. The city is surrounded by four rivers and is nestled in the scenic Andes mountains and offers spring-like weather year-round. Cuenca is a UNESCO Heritage site known for its 16th and 17th century historic Spanish colonial and French republican architecture and the three blue mosaic domes of the New Cathedral in downtown’s historic El Centro. It’s a walkable city but you can also use the bus for just 30 cents and grab $3 taxi rides to get you almost anywhere in town—so no car is necessary. The Tranvía de Cuenca (a new tram system) will finally be completed in June 2018 and will become a major draw for tourists, as well as investors. The Tranvía will be the largest public transport system in the city and with its investment of approximately $231 million, will transport around 120,000 passengers a day. The Tranvía runs from Mariscal Lamar International Airport, to the historic El Centro downtown, out to an area affectionately called “Gringolandia,” an expat conclave lined with upscale, modern condos. Because of the anticipated growth along the Tranvía routes, real estate is anticipated to grow along its corridor. In Cuenca, real estate agents say the turn-around is already underway, largely due to the repeal of the Ley de Plusvalia, or capital gains law. Builders and real estate agents say business in Cuenca is already picking up. The news that the law would simply be repealed and not replaced was celebrated by builders and real estate agents, who report more closings in recent weeks. Builders are restarting projects that have been dormant and beginning new ones with sales increasing since buyers are no longer delaying purchases because of the high tax. With this resurgence in the real estate market, combined with the upswing in tourism, there are lots of opportunities to invest. Here’s a few examples of what’s hot on the market right now and why. El Centro (Old Town) is getting a facelift: For most people, their initial visit into the city starts at Parque de Calderon—Cuenca’s historic town square and the center of economic and cultural activity. Home to the scenic New Cathedral, and next to the flower market, downtown has plenty of historic churches and Spanish colonial and French republican architecture, which is why it was named a UNESCO Heritage site. And now with the advent of the Tranvía, the prediction is that this change alone will fast-track tourism. The Tranvía will give lots of access to local restaurants, bars, concerts, and social events. In addition, the popular outdoor San Francisco indigenous market, where you can buy anything from hand-loomed textiles to alpaca sweaters, is getting a facelift, which adds social space for public events and concerts along with selling Ecuadorian goods. This has piqued interest in speculators interested in renovating historic buildings surrounding the plaza, some already in the offering for those who want to do their own renovating. By just looking out of the window of your El Centro apartment, you can participate in the multitude of parades and fiestas throughout the year or walk to free Cuenca Symphony Orchestra concerts, making this the “in” spot to live for the more than 700,000 urbanites living downtown. Apartments in this area run anywhere from $75,000 for a one-bedroom, one-bathroom apartment in the center of everything to $150,000 and up for a three-bedroom, three-bathroom house near the city center. Outlying suburbs gaining traction: On the outskirts of town, two suburbs are starting to attract more expats, due to their similarities with U.S. neighborhoods. The Solano/El Verde area, called New Town, is just south of the Tomebamba River, which divides the town, with El Centro to the north and the Solano neighborhoods to the south. Only a 20-minute walk to El Centro, the Solano neighborhoods are considered “uptown” in that the homes are in upscale, tree-lined neighborhoods dotted with quaint outdoor cafes where you can sip cappuccinos and eat chocolate croissants. This area has modern condos running along the Yanuncay River for purchase and more being built with pricing around $150,000 and up for two-bedroom, two-bathroom properties and homes with yards starting at $170,000 and up. Preconstruction prices for condos on the Yanuncay River are as low as $90,000. Challuabamba looks like a typical North American upper to middle-class neighborhood, complete with large front and back yards and homes that look right out of a Norman Rockwell painting. The area is far east of town, about a 25-minute drive to downtown, and the area is building expat must-haves…good supermarkets, restaurants, and bars hosting social activities. American-style homes start at around $200,000 and up. Ordonez Lasso (Gringolandia) gets the Tranvía: The popular expat enclave nicknamed “Gringolandia” is already replete with good restaurants, grocery stores, not to mention that you can walk down the street and see plenty of other expats. The new Tranvía will easily transport these suburbanites into El Centro in minutes, and speculators are already buying up homes to renovate on the Tranvía’s route to Gringolandia. This area is known for its high rises, where condos have spectacular views, high-end appliances, and hardwood floors that range in selling price from $150,000 and up. There are currently four condo buildings being built in this area, and pre-construction prices are available. San Joaquin offering farmette living: With hobby farms growing in popularity in the U.S., expats looking for a rural environment with convenient access to town should check out San Joaquin, a mere 10-minute drive west of Cuenca. A quiet neighborhood filled with small farms, herds of cattle, and long stretches of green grazing fields, San Joaquin attracts expats who have a desire to get back to nature, get a cow or two, while still being close to amenities. But don’t be fooled, the houses here are equipped with appliances, designer finishing, fireplaces, and large lots, and hefty price tags for larger homes. A two-bedroom, two-bathroom, upscale, modern home with a large yard in this tranquil community will start at about $175,000 and up. Cuenca and its surrounding areas offer a remarkable diversity of housing and lifestyle choices. Decide what type of environment and lifestyle you desire, Cuenca has much to offer.